A good number of car enthusiasts would consider a brown turbo Volvo 5 speed wagon to be a dream daily driver. 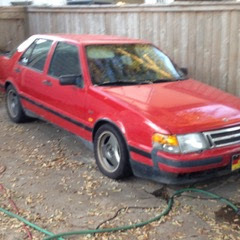 The 940's were the last of the durable rear wheel drive Volvos. Their 162 hp B230FT red block four cylinder engines respond like a duck to water to upping up the boost pressure. The Volvo 940 was an evolution 740 series, but was never offered with a manual transmission in the USA. Today's seller righted that wrong and fitted this 940 with a proper manual transmission from Europe along with a host of other go fast mods. 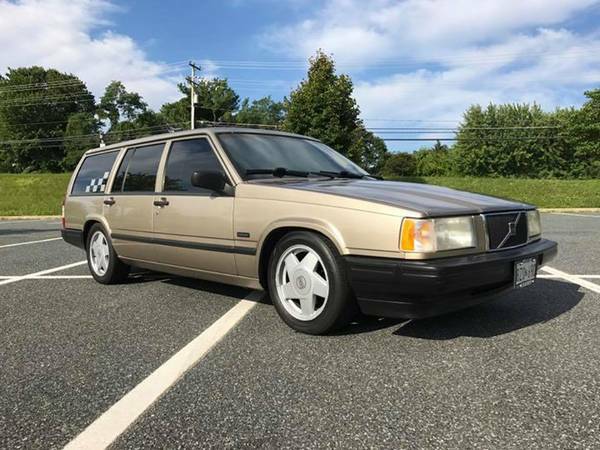 Find this 1994 Volvo 940 turbo wagon for sale in Bel Air, MD for $5,000 via craigslist. 2018 is almost around the corner and that free calendar you got at Jim's Truck Supply Warehouse isn't going to cut it in the new year and somebody spilled motor oil on that 2007 calendar you were going to reuse (cheap skate!). 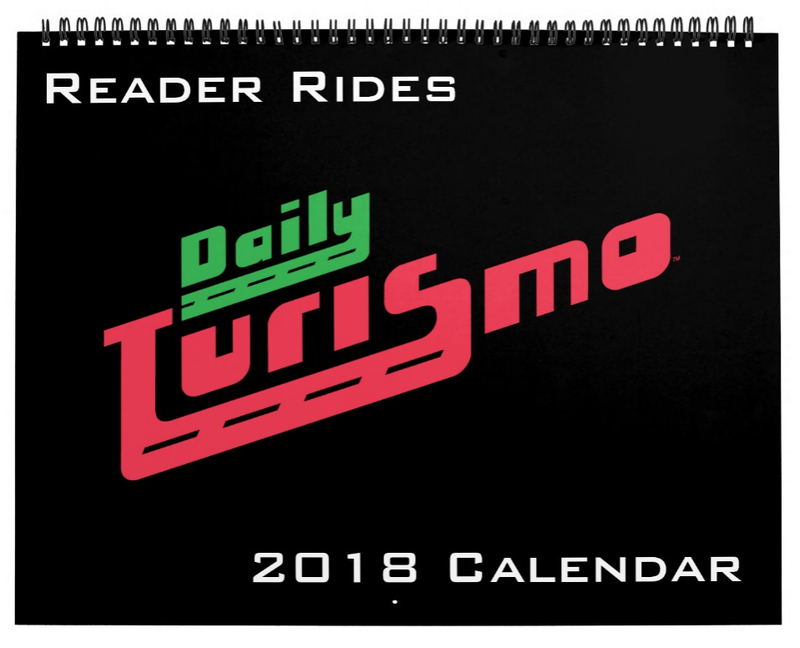 But you can rejoice because the Daily Turismo Reader Rides 2018 Wall Calendar is here. 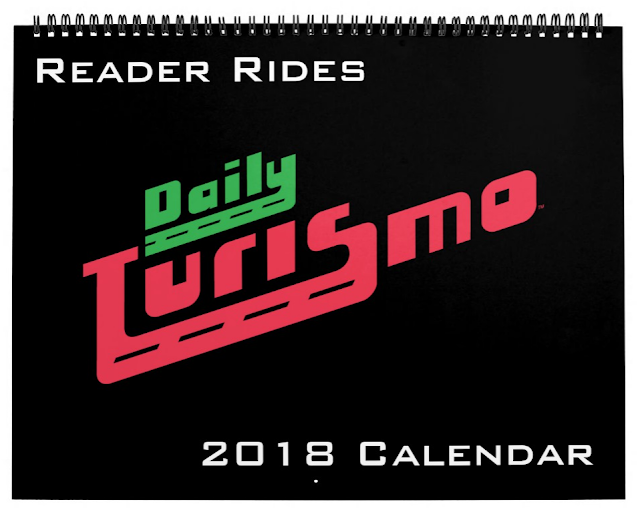 (NOTE 1/1/2018 link fixed!Premium quality wall calendars are provided from one of those 3rd party print & ship services, so the prices are high (about $15 for a medium and $20 for large sized calendar, but DT does get about $1 for each calendar sold as a kickback...we'll be ROLLIN' in dough by Valentine's Day! )....sorry about that! What could be better than a two-tone baby-blue/white paint scheme on a classic 70s American land barge...maybe color coordinated 70s sofa cushion interior? DING DING DING, WINNER!!! 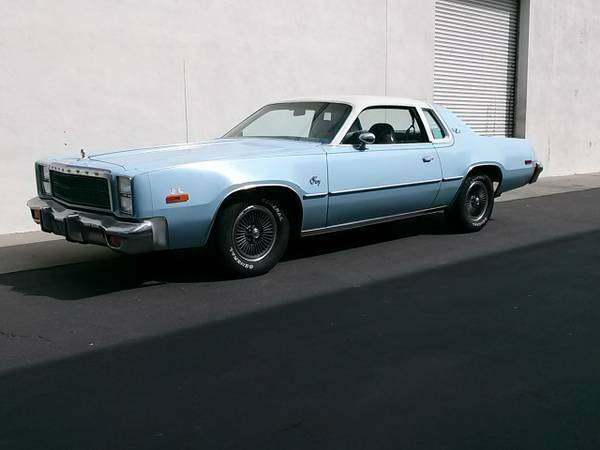 Find this 1977 Plymouth Fury Sport offered for $4,000 in Oceanside, CA via craigslist. Tip from Rock On! The GM era Saabs might have lost some of that unique funkiness that made a Saab a Saab..but they gained something in reliability and serviceability....right? I've never owned a modern Saab, but have to admit that some of the styling is attractive for the owner who likes something out of the ordinary and prices have a narcotizing waft of accessibility that has landed many a novice in hot water . 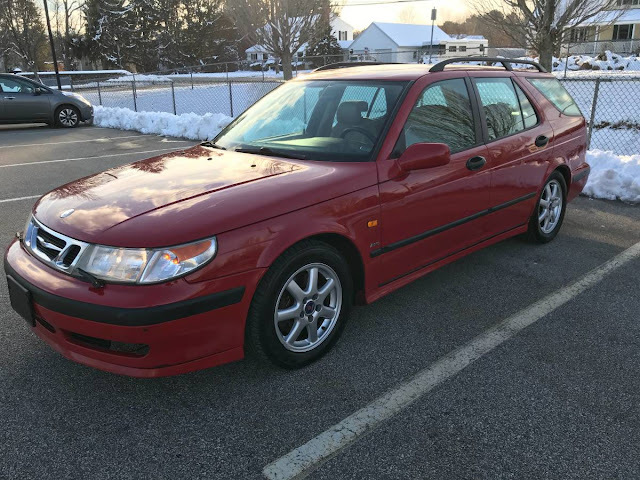 Find this 2000 Saab 9-5 Wagon offered for $2995 near Worcester, MA via craigslist. Tip from Art C.
When given a choice, most people pick the easy way. Lemme give you an example. If you want to build a hot-rod late model F-body, start with a V8-6-speed Camero and start with some bolt on parts. Go fast. Have fun. Or....you could chose door number two and end up being eaten by a lion buying a V6 version and modding the daylights out of it so it is only marginally slower than a stock V8. Find this 2001 Chevrolet Camaro Tom Henry RS offered for $3995 in Goleta, CA via craigslist. Tip from Sean S.
DT E-i-C Vince: Well...that's a first!! 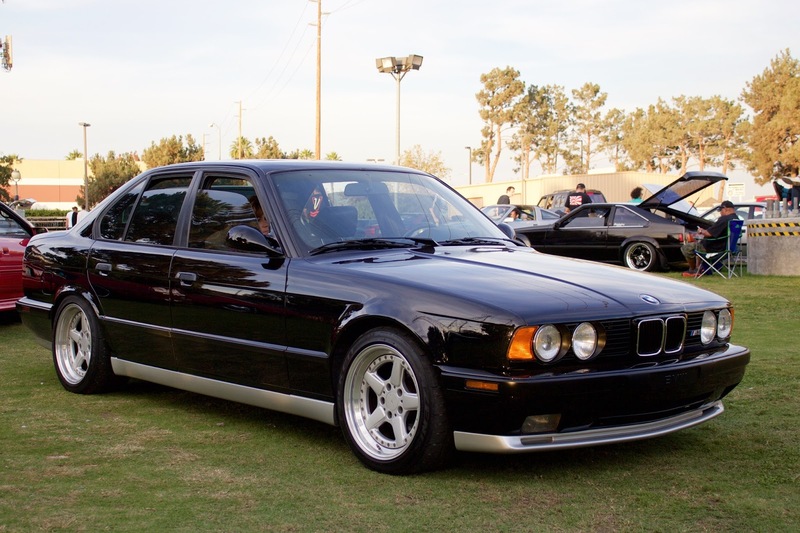 The DTM5 didn't find any buyers over here, so CFlo submitted the 1993 BMW M5 for sale on Bringatrailer.com where it is currently bidding for $6,911 with 7 days to go. I've personally driven/ridden in this car many times and can attest to the sheer brutality of its flagrant and unabridged awesomeness. Merry Christmas from the staff at DT to all of our readers around the world. Compact trucks are a thing of past here in the US despite the ongoing SUV and truck boom. Ford pulled the plug on the Ranger after the 2011 model year. Rangers were made from 1983-2011 and were only available with four cylinder or V6 engines. Ford's 302 5.0 push rod V8 is a popular engine swap option into a host of cars because of its compact dimensions. Today's Ranger sports a 5.0 V8 transplant and can likely light up its rear tires for days with the lightweight unloaded rear end. The truck's 3200 lb curb weight is actually very comparable to a same year Fox body 'Stang. 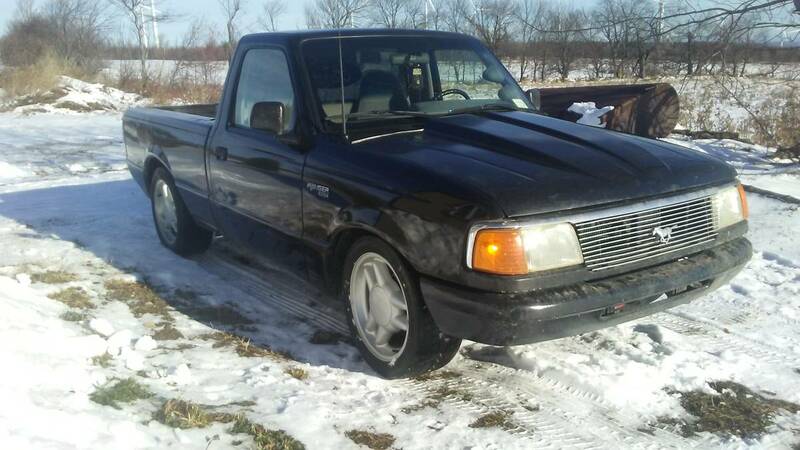 Find this 1993 Ford Ranger for sale in Ellenburg Center, NY for $4,000 via craigslist. Here is the scenario -- you aren't a rap star, or Kardashian...but you love to wear sweat pants outside your living room and want TMZ photogs to take your pictures...but you aren't sure what to drive? 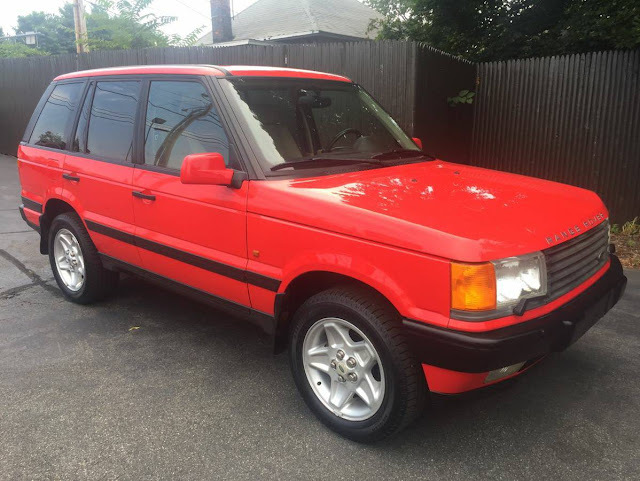 Perhaps you can rent a Bugatti...but that isn't a sure thing..what you REALLY need is a 1997 Range Rover 4.6 HSE Vitesse Edition offered for $8990 somewhere in Upstate New York. From Cory. The Nissan Z31 generation 300ZX is a forgotten stepchild of the Z-car family, riding that gray area between cheap used car and appreciating asset. Sure, you might find a few pristine examples demanding big bucks, but by and large, the '80s Z is not very collectible. Which makes it a great candidate for your next Daily Turismo ride. 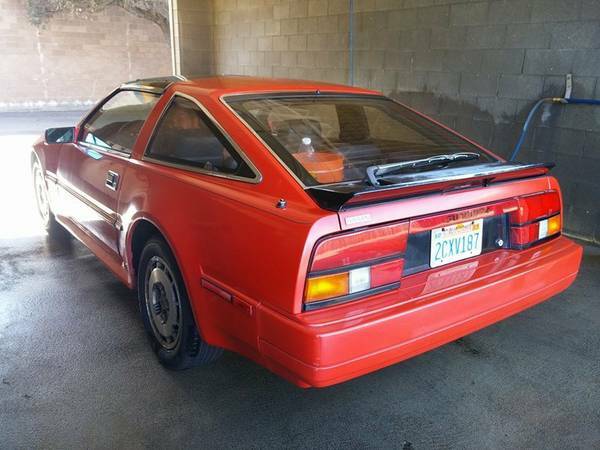 Find this 1986 NIssan 300ZX 2+2 for sale in San Luis Obispo, CA for just $1,800 via craigslist. 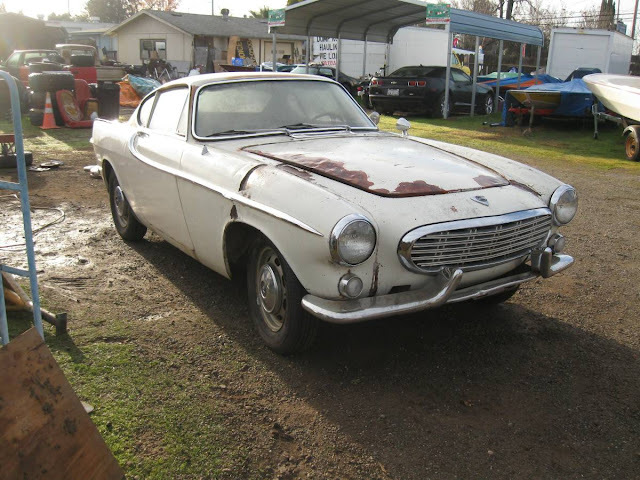 This next car comes as a tip from Matt C who writes: A Crosley Hot Shot is rare enough - but the sticker on the right of the rear bumper sticker gives it some extra amusement factor. 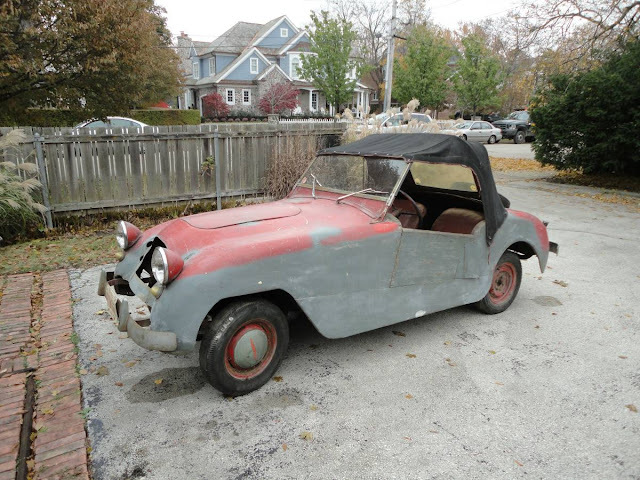 I'd have thought most of those would be scraped off by now... Find this 1951 Crosley Hot Shot offered for $2500 in Winnetka, IL via craigslist. Nissan's fabulous 240Z was sold in the US of A with a Datsun badge, but it offered ninja-like reflexes and a silky smooth inline-6. The Z hasn't gone through recent massive price inflation like certain German cars (i.e Porsche 911, E30 M3..etc), so if you are going to get one...do it before the boom. 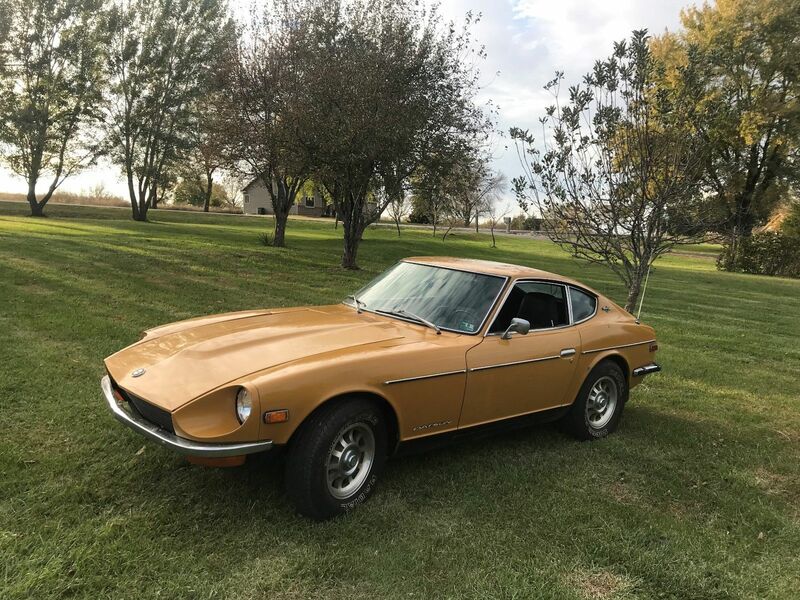 Find this 1971 Nissan 240Z here on eBay bidding for $10,733 with 3 days to go, located in Spring Hill, KS. 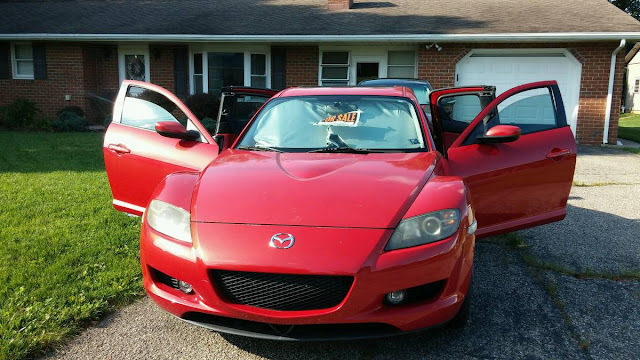 A Mazda RX-8 with original paint that isn't peeling AND apex seals that haven't given up the ghost...NOW that's what I call a Christmas miracle!! Find this 2004 Mazda RX-8 offered for $5,300 in Chambersburg, PA via craigslist. 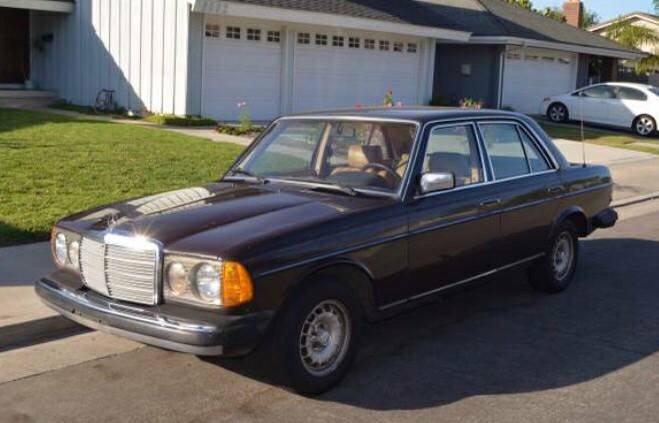 Tip from Jeff S.
The Mercedes-Benz W105 chassis was colloquially called the Ponton - the German word for Pontoon, a reference to its fender resembling the inflatable section or pontoon from a raft. This is extremely ironic because the car drives like a boat. 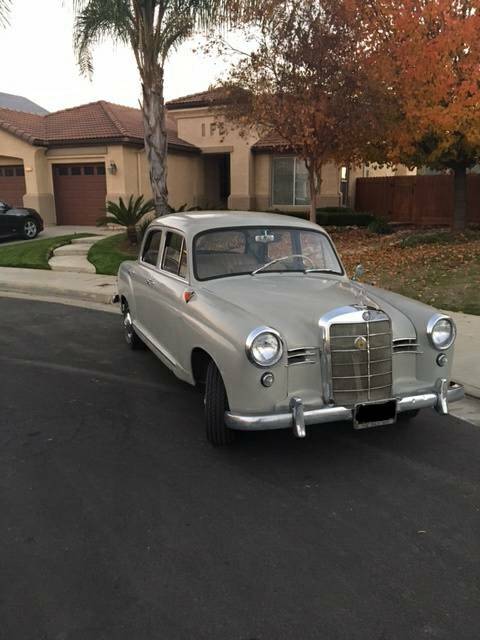 Find this 1957 Mercedes-Benz 190 offered for $6900 in Clovis, CA via craigslist. The MGB was a V8 powered monster of a factory hot rod from those guys...hey...hang on a minute...the MGB was powered by a 4-cylinder engine and was a corner carving classic, but this next example has been under a hot rodder's knife. 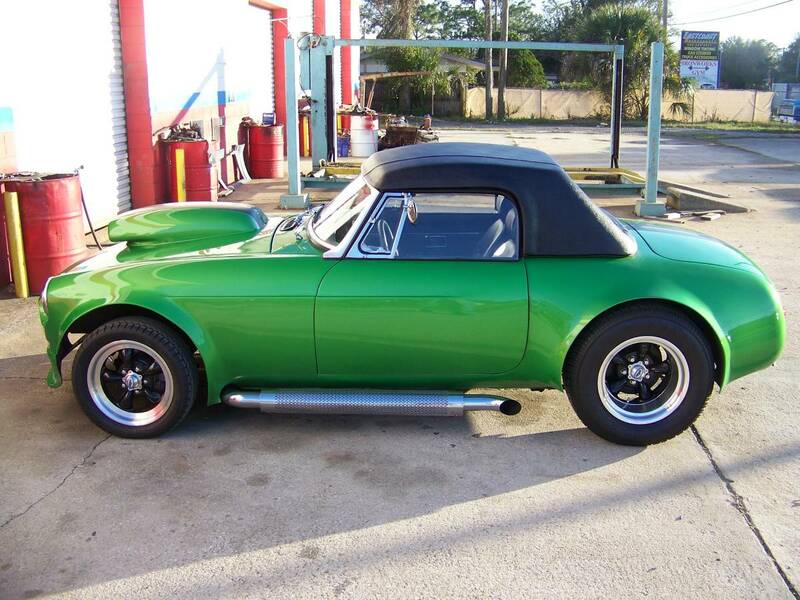 Find this 1974 MG MGB offered for $22,500 in Yulee, FL via craigslist. Tip from FuelTruck.